Navigating the digital world is increasing complex for children, teens, and adults alike. iPhones, iPads, iTunes, smart phones, tablets, laptops, video games, YouTube, social media apps, Snapchat, Facebook, Instagram, Twitter... the list goes on and on. 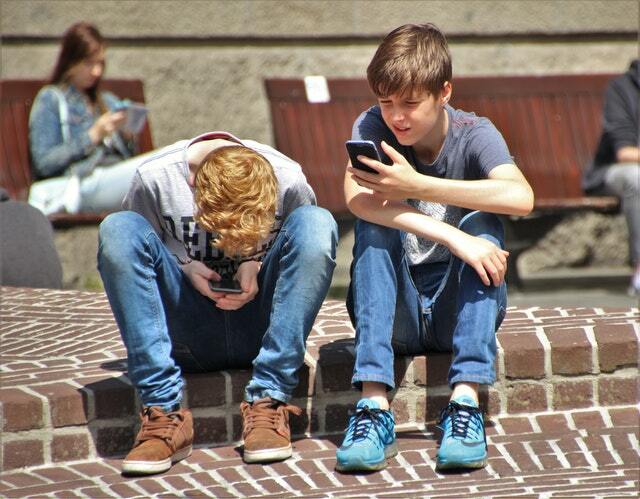 There are many benefits to the information, connections, and learning opportunities available at our fingertips, but it is important to establish ground rules, expectations, and good habits as kids "grow up digital". Developing safe and healthy digital habits is part of both parenting and growing up in the digital age. Here are some helpful tips and resources to help you find your way. Establish family rules regarding technology - when, where and how much. Teach children digital citizenship and appropriate and inappropriate uses of technology. Discuss internet/digital safety - the importance of privacy, the dangers of predators and sexting, and the harmfulness of cyberbullying. Review digital material for developmentally appropriate content. Set up "tech free zones" - places and times when everyone unplugs to enjoy each other company. Help children to find balance in their technology use - make sure there is plenty of time for other activities like playing a game, reading a book, running outside, and relaxation without technology. Put electronic devices away at least one hour before bedtime. Parents need to model positive behavior, healthy tech habits, and good digital citizenship. 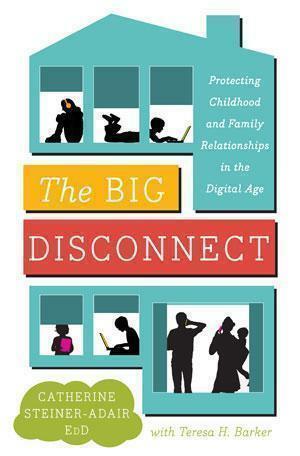 Watch internationally recognized clinical psychologist, school consultant, and author of The Big Disconnect: Parenting in the Digital Age Catherine Steiner-Adair's talk on how technology affects child development. Highlights from the Media Rules: Healthy Connections in the Digital Age presentation at Stanford Universality in 2016. The presentation features Dr. Catherine Steiner-Adair and the Co-Founders of Challenge Success, Dr. Denise Pope and Dr. Madeline Levine. 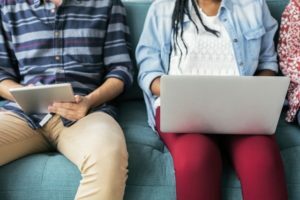 This article explores how adults and kids can maintain balance, safety, and positive relationships in the digital age. Full recording of the Media Rules: Healthy Connections in the Digital Age presentation at Stanford Universality in 2016. In a world where, according to one survey, 81% of toddlers have an online presence by the time they are two, most parents are still confused about how to best manage their children's relationship with technology. Author Scott Steinberg attempts to answer their questions in a new series of high-tech parenting books called The Modern Parents Guide. 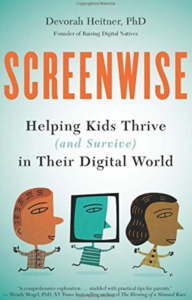 Raising Digital Natives is the website created by Dr. Deveorah Heitner, PhD, author of Screenwise: Helping Kids to Thrive (and Survive) in Their Digital World. Dr. Hietner covers all aspects of the digital world and helps parents and educators as they mentor children through this new world of digital connectedness. When it comes to technology, parents may seem a little in the dark. Millennials and the generations to follow them were born with devices in their hands and it may seem like parents can never catch up. Sit down with your kids, figure out what they’re getting up to on their devices, and then get to learning—it’s much easier than it looks. Common Sense is the leading independent nonprofit organization dedicated to helping kids thrive in a world of media and technology. They empower parents, teachers, and policymakers by providing unbiased information, trusted advice, and innovative tools to help them harness the power of media and technology as a positive force in all kids’ lives. They offer developmentally age-appropriate, unbiased information so you can decide what media is right for your family. What makes a website bookmark-worth? One that offers solid, supplementary information; adapts to your child's level; provide fun practice instead of drill-and-kill; and shows videos to explain complex concepts. Check out these 10 bookmark-worthy websites for all ages. Age-specific guidelines, videos, and articles to help with tough conversations -- whether your kid is a bully or is being bullied. Common Sense Media answers all your cyberbullying questions, offers age-appropriate advice, school resources, and more from parents and experts. Tips for teaching kids social media safety. Attention and your brain in the digital age. 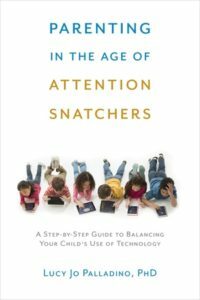 Parenting in the age of the attention snatchers. Screenwise offers an encouraging perspective on how to thoughtfully guide kids in the digital age. Many parents and educators worry that kids are addicted, detached, or distracted because of their digital devices. Digital Citizenship expert Devorah Heitner, however, believes that technology offers huge potential to our children--if parents help them. Screenwise presents practical parenting "hacks": quick ideas that you can implement today that will help you understand and relate to your digital native. The book empowers parents to recognize ways that wisdom that they have gained throughout their lives is a relevant and urgently needed supplement to their kid's digital savvy. Copyright © 2017 BStrong Together. All rights reserved.